Fixed Position and Filling; Auto Bag seal and cut off; Finished Fall down the bag on travelling car for sealing. Absorb bag, open bag, clamp bag, fill in bag, Pat bag bottom; seal bag, cut off bag and fall down bag are all automatically. 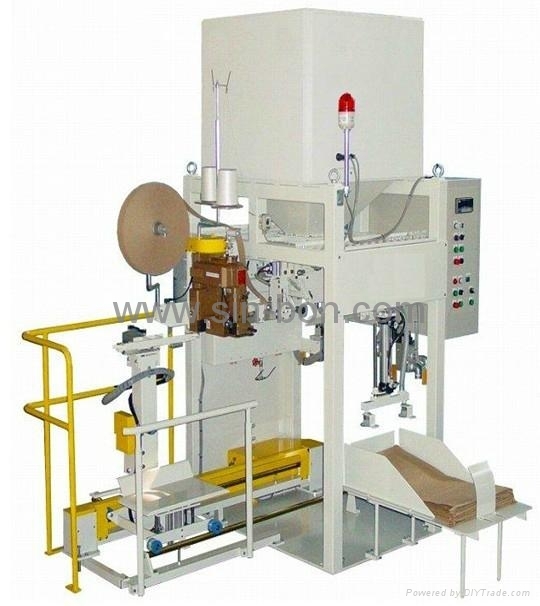 Used for paper bag automatic filling and sealing.